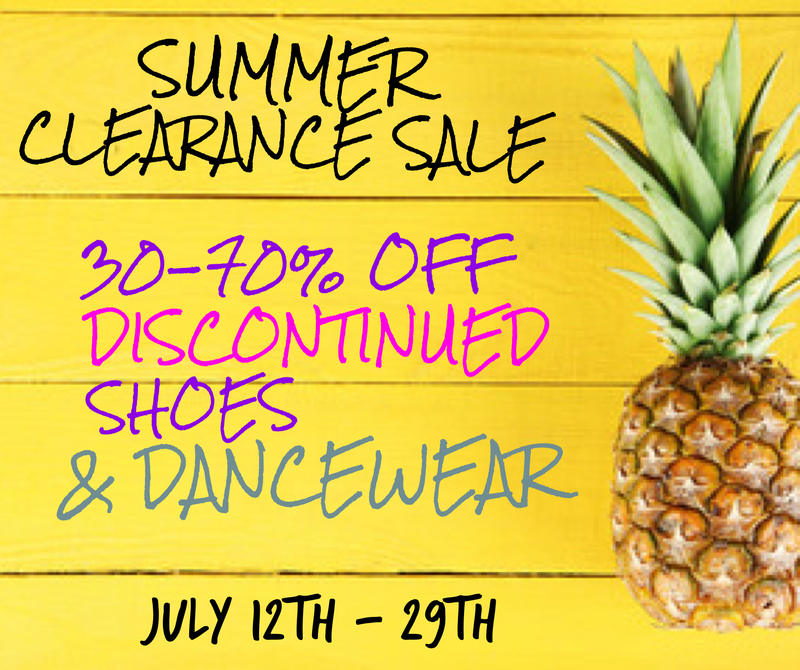 It’s time for our annual Summer Clearance Sale, time to clear out as we start to gear up for Back to Dance Season! Come check out the amazing deals on discontinued shoes including ballet, tap and jazz shoes! Great for summer dance camps or to start the new season in fall. Also check out the great deals on dancewear, including a large selection of patterned bra tops and shorts. Great for the warm summer weather! Select leotards in children and adult sizes, knitwear, skirts and much more are all deeply discounted making this the perfect time to stock up and save!